We need to change the sorry frame of the debate over judges and the role the judicial system plays in our democracy. Since the levees burst in New Orleans and the interstate bridge collapsed in Minnesota, much has been written and said about the need to repair the nation’s infrastructure, too much of which is frayed and crumbling because of years of underinvestment. This transpired while tax cut after tax cut went to the wealthiest in our society, and billions were squandered on wars of choice and high-tech weaponry. This neglect of infrastructure resulted in bodies littering the banks of the Mississippi on the Gulf Coast and floating in the wreckage of a highway a thousand miles upriver. The American Recovery and Reinvestment Act (a k a the stimulus bill), passed earlier this year, has begun the process of rebuilding our infrastructure, as well as retooling for a greener country. This investment is a long-overdue correction of our misguided national priorities. But there is another infrastructure that has been at best neglected and at worst assaulted in recent years, and that is our infrastructure of justice. To some extent the infrastructure of justice is physical, including courthouses, prosecutors’ and public defenders’ offices–and prisons. We certainly have not neglected building prisons in recent years, as draconian sentencing laws have put a record number of men and many women behind bars. This has been the greatest boom-time in recorded history for the prison-industrial complex. But far more than bricks and mortar, the infrastructure of laws and policies and human capital tell the story of the health of justice in America. Given the nature of the justice system, repairing the broken infrastructure is not simply, or even primarily, a matter of federal action. What is required is an understanding of the pieces and what needs to happen at various levels, with the right leadership, to put them back together. Let’s start with influencing who sits on the federal bench. More than pushing for individual nominees, we need to change the sorry frame of the debate about judges and the roles they play in our democracy. President Obama has begun that process with the successful nomination of Sonia Sotomayor as a Supreme Court justice. Sotomayor cast her first vote on the Court in a death penalty case, supporting the claims of the defendant. By any measure, she is among the most qualified new justices of the past century. In stressing her real-world experience, the president tried to move beyond the tiresome wedge issues over which Supreme Court nominations have recently been waged. But conservative judicial activists insisted on waging old battles; in the end, only nine Republican senators voted for her confirmation. We have lost ground steadily in debates over the Supreme Court and the role of judges generally in recent decades, because we have allowed those debates to be framed almost entirely in terms of issues like abortion and the separation of church and state. We need a Court that forcefully upholds both the separation clause and the right to abortion, of course. But we also need a Court that is, as the president has put it to the derision of the right, “empathetic” to those who have been economically marginalized in a society whose key institutions have always sided in recent years with the rich against the poor. If we can get people to care about the Supreme Court not just because it is going to stop a judge in Alabama from putting the Ten Commandments in his courtroom, not just because it is going to force the government to treat a suspected terrorist more fairly, but also because the Court has a critical role to play in supporting fairness for working people, we will have made a genuine and important change in this country’s politics. Instead of focusing fully on our vision of justice, we are still largely playing on the field defined by the opposition. In the fight over the Sotomayor nomination, we witnessed the chutzpah of racism charges against her from the likes of Rush Limbaugh and Newt Gingrich. We have to hope that the sick tenor of the so-called great debate that the hard right, newly enamored of filibusters, tried to force upon the Senate is the last, desperate gasp of a dying order. In seeking a way forward, we have to be diligent in learning and articulating the right lessons from the past. The right would have you believe–and unfortunately, much of the media embrace this mistaken narrative–that the low state of discourse on these issues stems from the successful campaign against the Bork nomination in 1987, which the right claims was based on invective and caricature. (Note: I traveled the country for the American Civil Liberties Union speaking against Bork in Texas, North Dakota and Idaho, so I know that the fight against him was fairly waged, not on any personal basis but on the entirely appropriate grounds of judicial philosophy.) Bork’s hostility to the role of the Court in protecting the Constitution was made plain during his confirmation hearings, and on that basis the Senate rejected him. Contrary to the right’s mythology, Bork’s hearings marked a high point of public understanding about the courts, and they were not at all an exercise in personal destruction. Moreover, almost all of Bork’s legal arguments in the twenty years since his rejection have ratified the judgment of those who opposed his appointment. This spring, the media reported that Sotomayor’s nomination had revived so-called “identity” politics. If so, that is because those who have a desperate stake in preserving the rightward trend of the courts would like you to believe that the only people in America who don’t have an identity are white men. Should it be disturbing that nearly all the candidates seriously vetted by the White House were women? Not when the nation’s highest court is almost as much of an all-male preserve as the Vatican, not when there is such a plethora of stunning talent among female judges, politicians, scholars and advocates. Now that Sotomayor is sworn in, we need to focus on other parts of the justice infrastructure, the first of which is removing restrictions on the courts’ jurisdiction. Doing that is crucial, because we are living with the consequences of a forty-year campaign–ever since the Nixon administration–to strip the federal courts of their important role in guaranteeing the protection of constitutional rights. One aspect of this campaign, which has escalated in the past ten years, has been to strip the courts of their ability to hear the claims of some of the most marginalized people in our society who face significant discrimination, from prisoners to noncitizens. So one part of a restorative agenda is to remove restrictions on federal court jurisdiction imposed by antirights forces to tip the scales away from justice. This is not the sexiest issue, any more than fixing sewers and dams is when it comes to physical infrastructure, but it is a vitally important one. It is essential that we have a national commitment to improving the quality of legal representation for criminal defendants and those seeking a fair shake in the civil justice system. Well over forty years since the landmark Gideon v. Wainwright decision, as the Constitution Project pointed out in an April report, “sometimes counsel is not provided at all, and it often is supplied in ways that make a mockery…of the Supreme Court’s soaring rhetoric. Throughout the United States, indigent defense systems are struggling…. 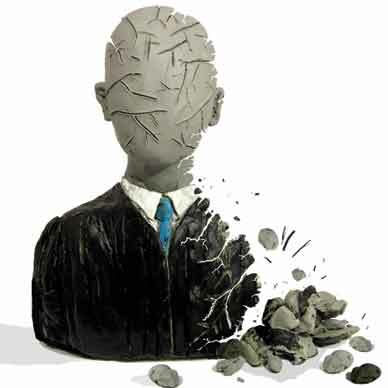 Due to funding shortfalls, excessive caseloads, and a host of other problems, many are truly failing.” Moreover, the New York Times reported in November 2008 that public defenders’ offices in at least seven states have refused to take on new cases, so overwhelming are their workloads [see also Eyal Press, “Keeping Gideon‘s Promise,” April 3, 2006]. For these failures, it must be bluntly stated, too many of our fellow Americans pay with their liberty. When access to a constitutional right depends on the size of your wallet, which is far too often correlated with the color of your skin, your gender or your ethnicity, that is a moral as well as a constitutional outrage. The Constitution Project report, from a bipartisan commission chaired by Walter Mondale and William Sessions, provides a blueprint for action by states and the federal government. Implementing these steps must be a central element of infrastructure repair for the justice system. Repairing the broken infrastructure of justice also requires fixing the civil side of the system, which is in at least as bad shape as the criminal side of the system, in part because we lack a “civil Gideon” as a point of leverage. In an article in a recent Harvard Law and Policy Review based on an extensive review of the data, Kevin Clermont and Stewart Schwab wrote that the federal courts have become so consistently anti-plaintiff in employment discrimination cases that they are in danger of abandoning their role as a forum in which the powerless can seek redress from the powerful. Add to this the hobbling of federal legal services programs with restrictions on whom they can serve that mirror the jurisdictional limits on the federal courts; the virtual starvation of these programs through funding cuts [see Peter Edelman, “…And a Law for Poor People,” August 3/10]; and the neutering of almost all federal administrative agencies charged with protecting rights, from the Civil Rights Commission to the Equal Employment Opportunity Commission. There is a huge reconstructive agenda before us. We understand that the physical infrastructure investments we need to make as a country must not simply replicate outmoded and wasteful technologies and approaches. Similarly, we must be careful to approach the renewal of our justice infrastructure guided by new ideas. We need to pay attention to the vibrant movement, particularly at the grassroots level, to incorporate human rights standards and approaches into organizing and legal reform. We are not going back to the mid-1960s, the height of the Warren Court era, when decision after decision pushed forward the frontiers of civil rights and liberties, with judges often leading the way. Nor should we. Our rights will not be secure if we only or primarily rely on the courts. However, the new domestic human rights movement points the way to a different future. Here, too, there is a blueprint: Human Rights at Home, a collaborative effort of more than forty organizations moving forward through the Campaign for a New Domestic Human Rights Agenda with a multipronged education and advocacy strategy. The Obama administration has been responsive to this movement and should step up the pace of implementing its recommendations, including a reconstituted and revitalized Interagency Working Group on Human Rights, a restructured and strengthened Civil Rights Commission with human rights added to its name and mandate, strengthened US compliance with the Convention on the Elimination of All Forms of Racial Discrimination and federal support for coordination of state and local efforts for human rights promotion and compliance. There is so much more to do in revitalizing our infrastructure of justice, including immigration reform, which would help bring irregular migrants out of the shadows and into full democratic participation, and would end the bizarre form of American apartheid that denies more than 10 million workers from other countries rights in the nation that depends on their vital labor; reversal of the civil liberties abuses perpetrated in the name of national security since 2001, which have made us, in the ACLU’s memorable and pithy phrase, less free and less safe; and reversal of the incarceration policies that, according to a March study by the Pew Center on the States, have put one in 100 Americans behind bars at a cost that some say has skyrocketed more than 300 percent in the past two decades. We now have a president who has a strong sense of the big picture and a stunning ability to communicate it. Barack Obama takes his teaching role seriously and assumes the intelligence of the American people, including our ability to appreciate complexity. We need the president and many others to knit traditional justice concerns more closely together with a broader progressive agenda. We need working families to see what they have at stake in who sits on the Supreme Court and how they rule, and we need to reject the cynical use of wedge issues once and for all. We need to connect investments in education and health and jobs to the justice system; to make clear the consequences of underinvestment in young people, particularly in communities of color; and to show that every dollar spent on prison bars is one not spent on schoolbooks. We need to connect the parts of the justice system so that the manipulation of fear that has for too long driven our criminal justice policies, and therefore our politics, and the manipulation of fear since the terrorist attacks of 2001 are understood as cut from the same cloth. Most important, we need a long-term strategic plan for restoring the infrastructure of justice, with the necessary political will and the path to get there. President Obama must find time for this urgent task, some elements of which he has already taken on. But whether that happens depends to a great extent on those of us who support a more generous vision of justice than the cramped view peddled by the right for the past four decades. At the center of our vision is achieving the state of justice in which race and gender and ethnicity are not the determinants of who ends up in prison or on an ICE airplane to the Mexican border, or winds up dead at the hands of an abusive husband or an out-of-control cop or soldier. We will have achieved a small but important part of that goal when the Supreme Court looks like the America of those whose rights it is the ultimate guardian. Yes, the Court should have some connection to and empathy with those who come before it challenging a powerful interest, whether it’s the state or a rich corporation. Gara LaMarcheGara LaMarche, president of the Democracy Alliance, previously headed the Atlantic Philanthropies and the Open Society Foundation’s US programs.